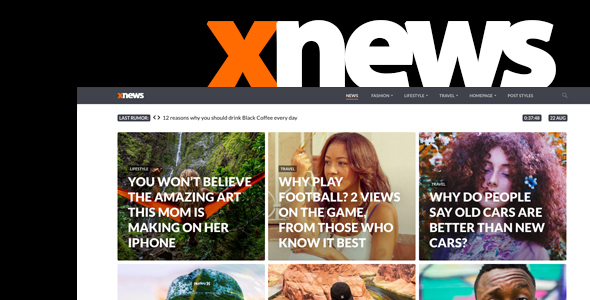 Xnews is a WordPress theme that lets you write articles and blog posts with ease. It is fully responsive, retina ready and has many powerful features. We offer great support and friendly help! The Xnews theme is excellent for a news, newspaper, magazine or publishing site. It uses the best clean SEO practices, and on top of that, it’s fast, simple, and easy to use. In addition, Xnews supports responsive Google Ads and AdSense.